Miranda’s award, and why Zoos are so important. Old Macdonald got an email the other day from David Field, who is chair of BIAZA (British and Irish Association of Zoos and Aquariums) as well as Managing Director of ZSL (London and Whipsnade Zoo to you and me) and wanted to share it with you. A lot of people confuse us with London Zoo, which is a bit bigger and includes a few more animals with long necks and big teeth, but nevertheless we are also a Zoo as well as a farm. 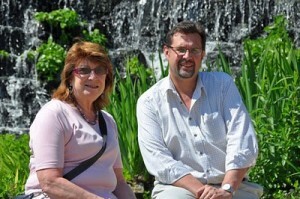 This celebrates a well deserved OBE awarded to Miranda Stevenson who is the Director of BIAZA. Then below he found this article in the Guardian, which sums up what we all strive for in this business (apart from Old Mac himself who strives to make a few more pounds for his “Save an Old Farmer from Poverty” campaign) and is of particular interest to us as we, with your help, fund the Wildlife Heritage Fund who successfully bred Amur Leopard cubs as you can find on other of our website news. Photos below show Miranda and David as well as the Amur Leopard. No prizes this time for working out which is which! It gives me great pleasure to offer sincere congratulations to Miranda for the award of an OBE for services to wildlife and conservation in the 2012 New Year’s honours. Over the last 25 years zoological gardens and aquariums have undergone a renaissance. From primarily being centres of entertainment they have transformed into powerful instruments of conservation and education. This change has been led by some amazing and dynamic individuals and included in these is Dr Miranda Stevenson. Miranda has been a driving force in this evolution of zoos, she has demonstrated best practice, led by example and where necessary by inspiration. She has been instrumental in raising the standards of British zoos to become some of the best in the world and then advocating these advances in the European and indeed the global zoo forum. In her role as Curator of Edinburgh Zoo, Miranda began to employ techniques to dramatically raise the care and welfare of zoo animals. Miranda also fostered and encouraged her staff to share this knowledge and Edinburgh Zoo became a beacon of best practice. It was also during this time that Miranda began to become involved with the formation of international cooperative breeding programmes for endangered species. Although Miranda’s speciality was primates her knowledge and foresight was able to transcend taxa. Miranda’s present role as Director of the British and Irish Association of Zoos and Aquaria has been an ideal platform to continue her mission to improve zoos and raise the contribution of zoos to science and conservation. Miranda has encouraged and welcomed new members to the Association and assisted their development with close mentoring and advice – whether this has been at the institution level or indeed the individual level. Many of us in senior positions in British zoos (myself in particular) are indebted to the guidance of Miranda Stevenson early in our careers. Miranda Stevenson is an architect of modern zoo philosophy and practice. She has inspired many people and achieved remarkable advances in zoo biology and zoo conservation. So please join with me in sending our congratulations to Miranda – I am sure we will all raise a glass or two in due course ! My best wishes to you all for a successful 2012 – it has started pretty well! Endangered Amur leopards from UK zoos could soon be heading to Russia as part of a captive breeding and release programme to save the big cat. There are estimated to be just 25 to 35 Amur leopards left in the wild in the far east of Russia, with numbers driven down by poaching of both the cat and its prey and damage to its habitat from activities such as logging and forest fires. But experts are hoping to reverse the fortunes of the rarest big cat in the world with a programme using animals bred from captive Amur leopards. A multinational scheme to reintroduce the species, which would run alongside efforts to protect the existing wild population, has so far failed to secure the necessary funding, but the Russian government has backed a Moscow-based programme. 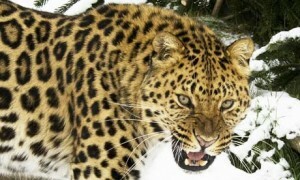 Experts from organisations including the UK’s Wildlife Vets International are working with the Russian scheme, which has established a captive breeding centre on the edge of the territory where it is planned leopards will be released. Leopards will be mated and rear cubs at the centre, with the young fed live prey to allow them to learn how to hunt before they are released into the wild at around 12 to 18 months old – the time they would normally leave their mothers. Dr John Lewis, veterinary director of Wildlife Vets International and veterinary adviser to the Amur leopard European captive breeding programme, said the centre could start receiving leopards in a few months’ time. Lewis said UK wildlife parks and zoos could contribute animals to the scheme once the European breeding programme was confident that the centre in Russia was suitable for the project. Some improvements, such as better security, were needed first, he said. Lewis has also developed a disease risk assessment to see what conditions may pose significant problems to Amur leopards, and a screening programme to ensure a healthy captive population with genetic diversity. The plan is to rotate different animals through the Russian breeding programme so that the released young will be genetically diverse. To begin with, the reintroduced population will be kept separate from the existing wild population to avoid conflict between cats and the risk of spreading disease. It may be many years before the scheme can be judged to have been successful, but Lewis believes the programme could help with conservation management of other cat species. “The Amur leopard is facing a situation which may face a number of other big cats in the future, with populations which become so low that in the blink of an eye it could be extinct,” he said. “A lot of lessons we learn in trying to manage this will be applicable to a much wider range of cats in the future.